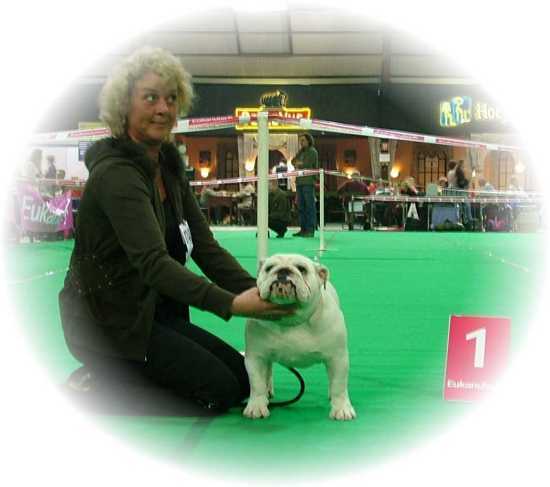 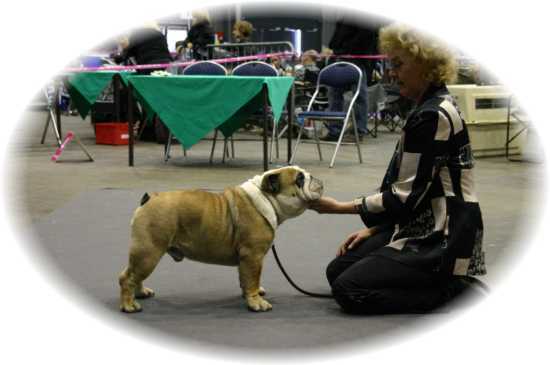 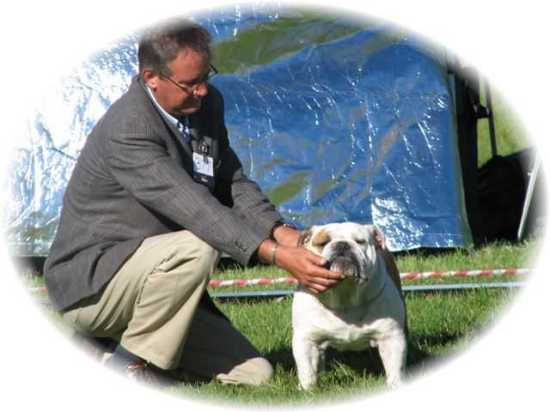 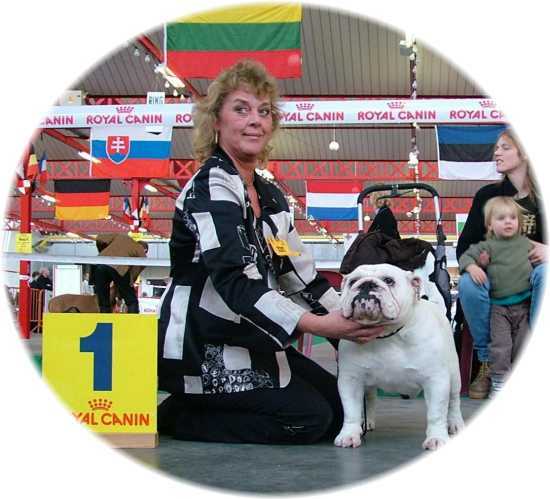 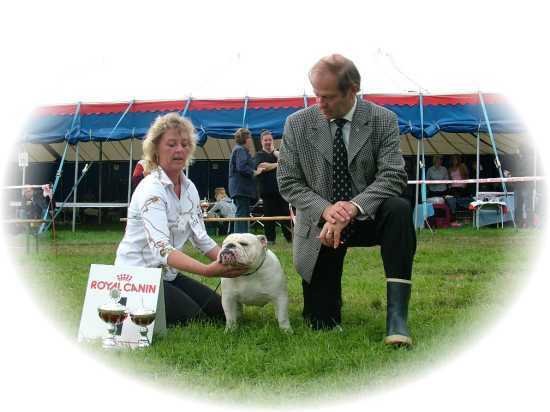 On 28 Nov. 2009 at the Amsterdam Winner show Ginger won under Mr. Ove Germundson (Swe) CAC + CACIB (Beste female) BOS and the Winner 2009 title. 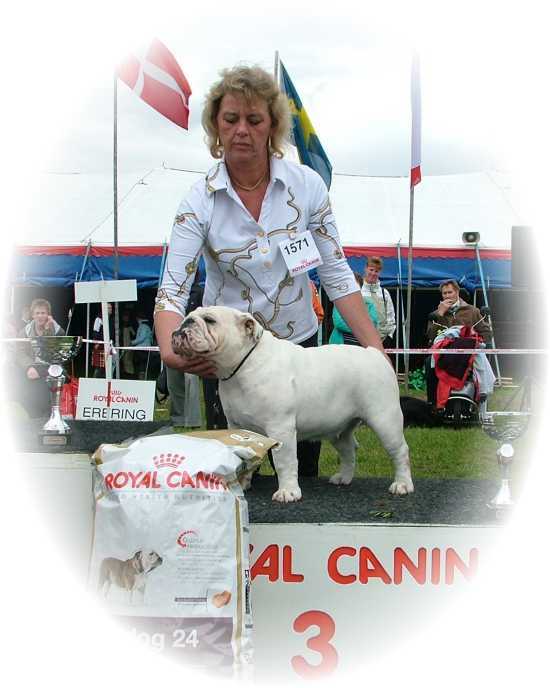 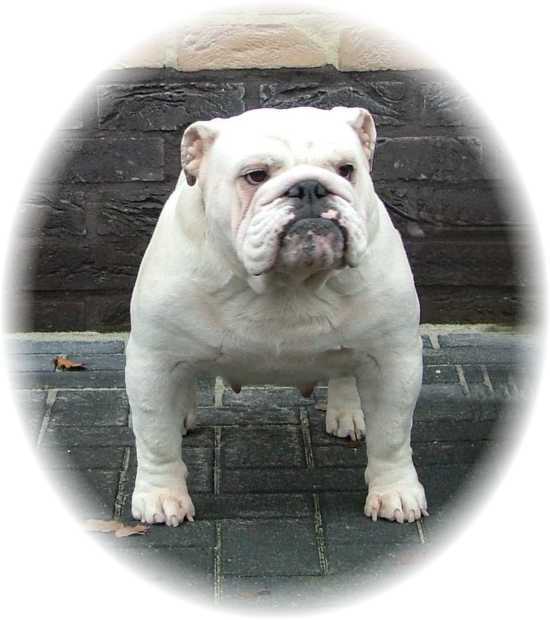 Her fist show in Holland this year and qualified for the Dutch Bulldog of the Year show. 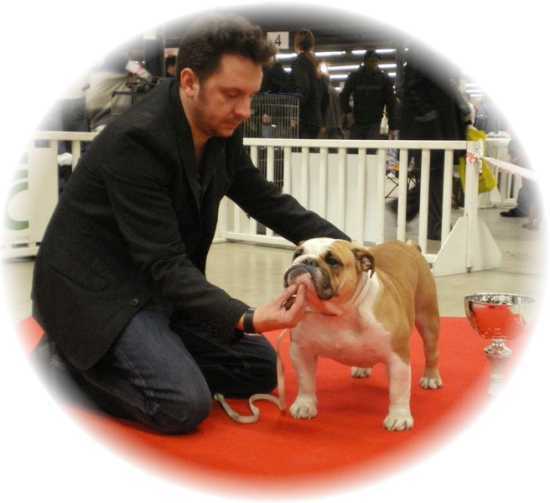 Handyman of the Tivoli Bulls "Dundee"
Dam: Delicious of the Tivoli Bulls "Babouche"
Mr. V. van Raamsdonk, to which we are very very grateful! 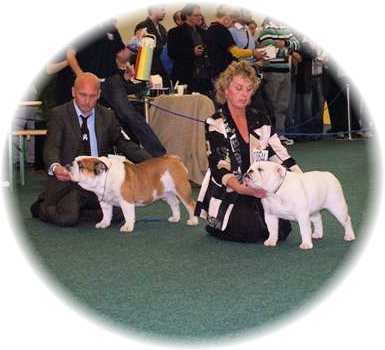 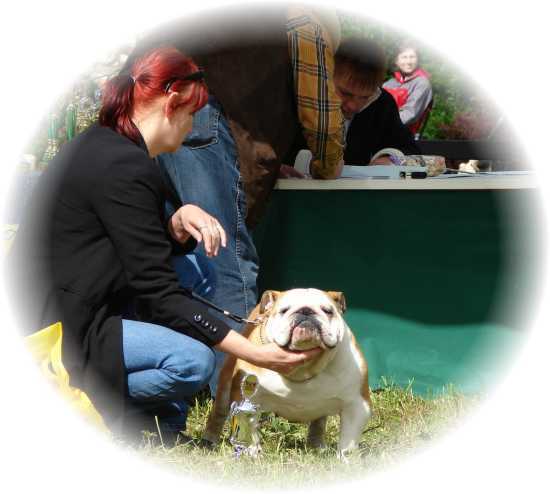 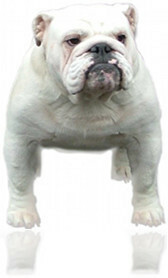 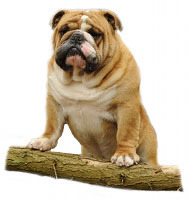 There was a total entry of 204 Bulldogs. 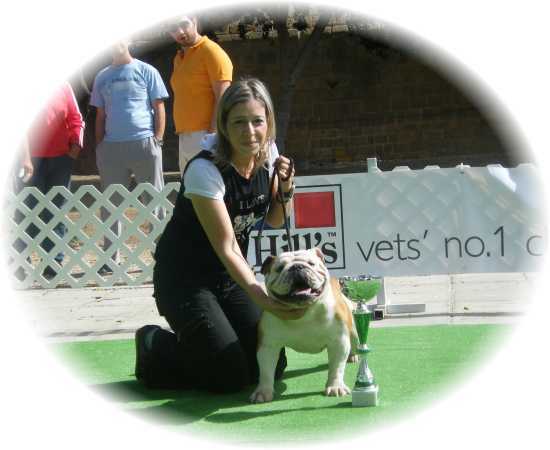 Faith of the Tivoli Bulls "Ginger" collects another Champion title! 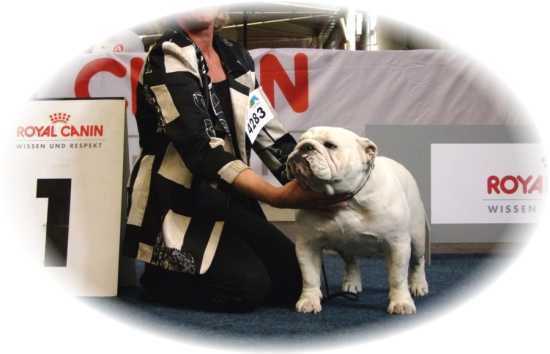 Dam: Campari of the Tivoli Bulls "Kim"
Heaven of the Tivoli Bulls gains her 3rd CAC in Slovenia! 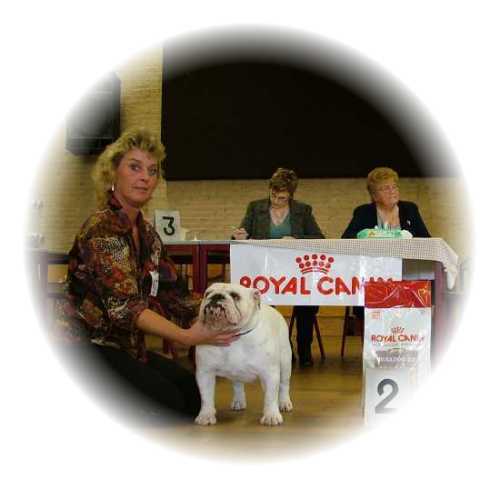 2 CAC's in one weekend for Hamster of the Tivoli Bulls! 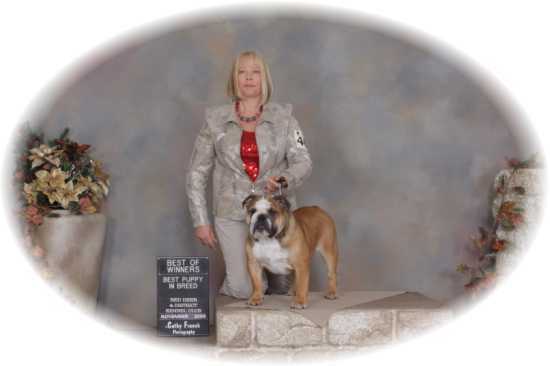 Thanks once again Lidia for handling and campaining "Booba" so well! 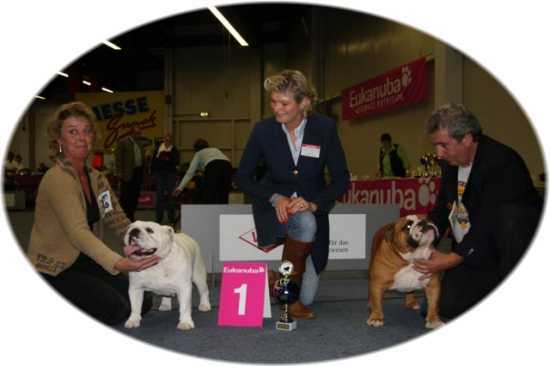 Congratulations Lidia and Booba, this is more then great! 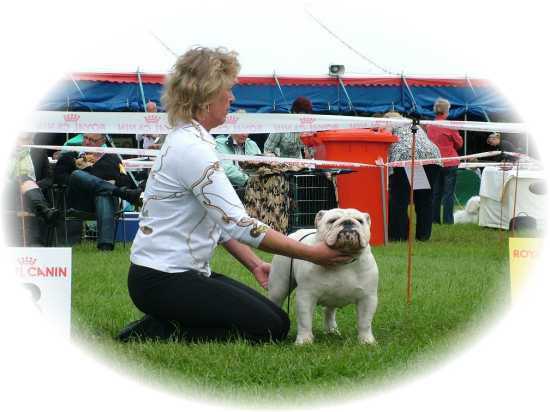 An honourful Best of Breed at the Bundesiegershow 2008! 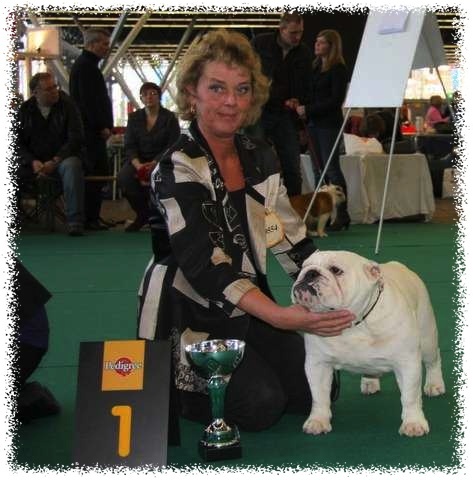 A big thank you to Mrs. Petra Grell, you have given the best judging report ever seen, 6 times the word "perfect" over her qualities......once again thank you! 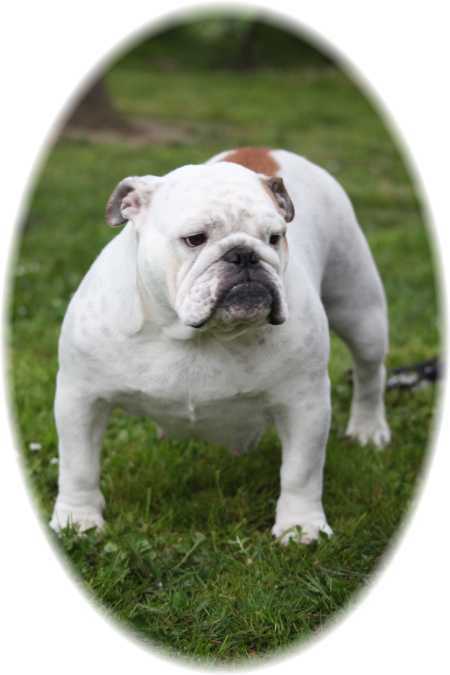 Again Best of Breed for Faith of the Tivoli Bulls "Ginger"
Thanks Monique "Of Mojo's" for the wonderful pics! 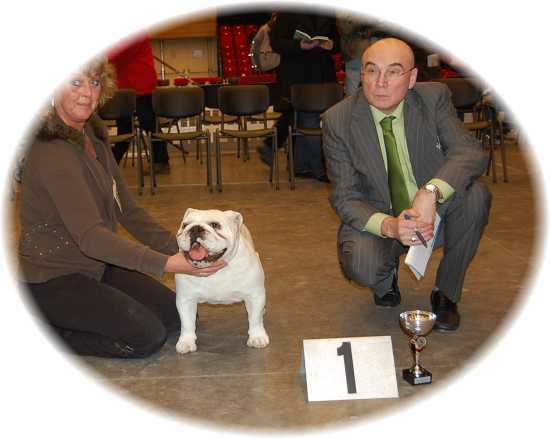 Thanks to all the judges who recognized the great quality of this special female! 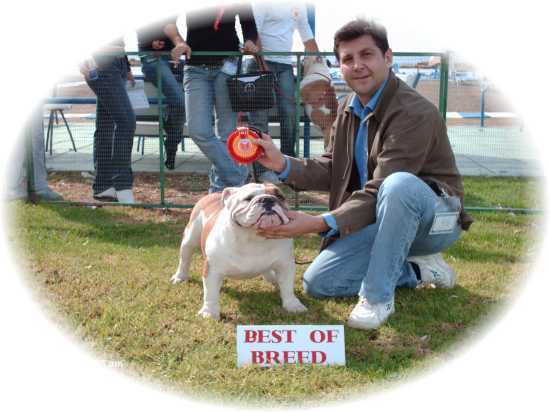 Proudly we announce new Cyprus CHAMPION "Feder of the Tivoli Bulls"
Dam: Cacharel of the Tivoli Bulls "Francis"
Thanks Elena & Longinos for handling Feder so well! 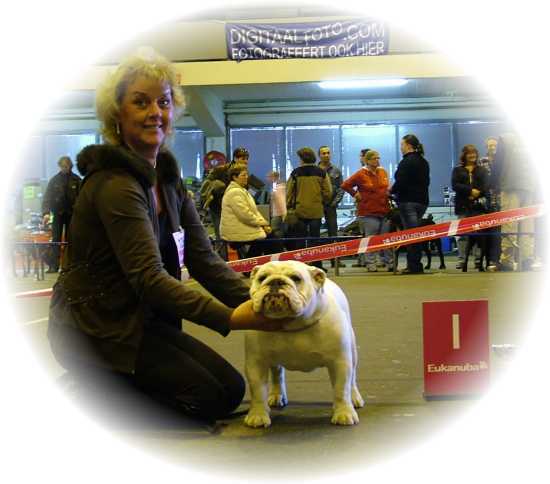 Easy-Rider of the Tivoli Bulls gained his 5th CC (with BOB) at theWalmer and Suburban Kennel Club Ch. 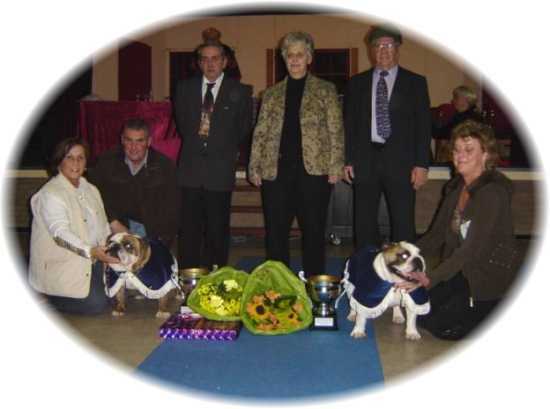 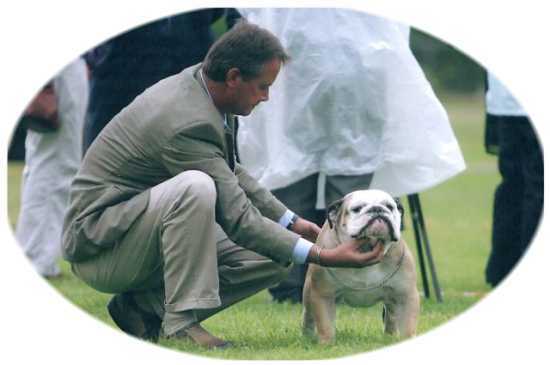 Show on 6 April 2008 in Port Elizabeth (SA) under judge Mr. Jack Peden (SA) which made him official South African Champion! 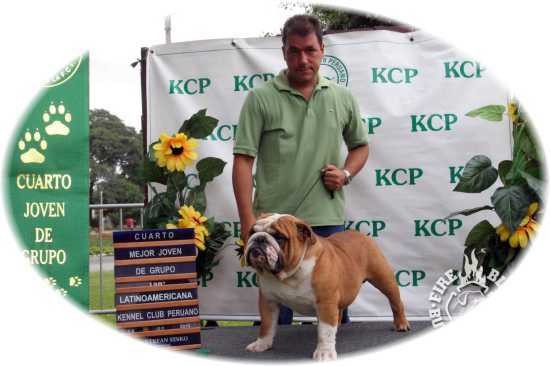 Thank you Helena & Longinos for campaining them so well! 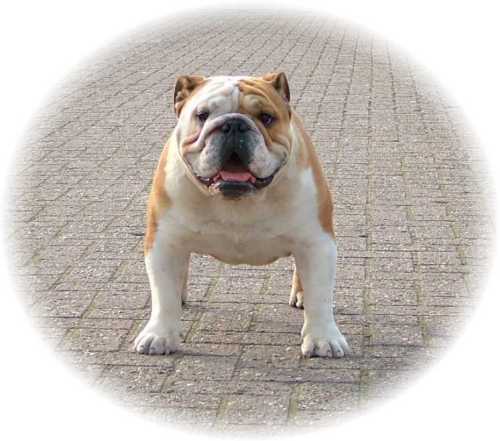 Thanks to Mr. P. Roosenboom for this great result! 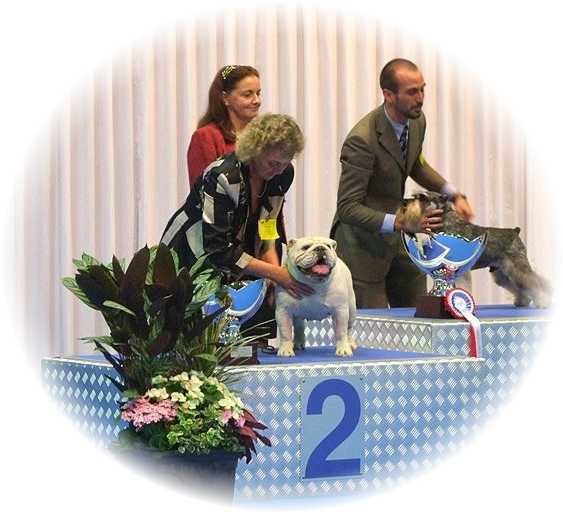 Japanese Champion Calypso of the Tivoli Bulls now also International Champion! 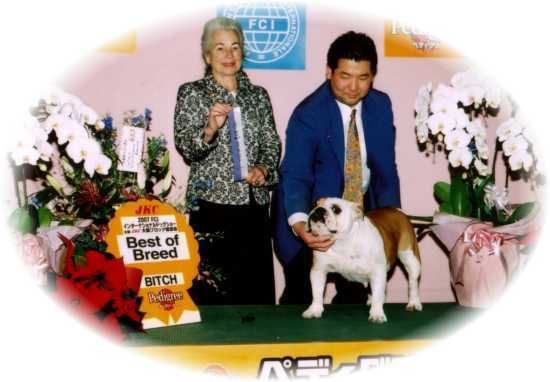 Thank you "Regee Bulldogs" Japan, for promoting this wonderful female so well! 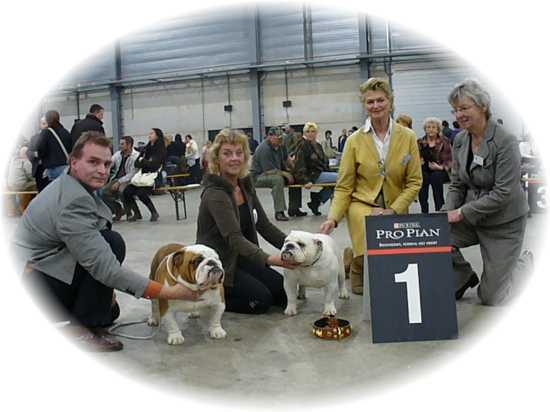 at 6 Jan. 2008 Holland another glorious day! 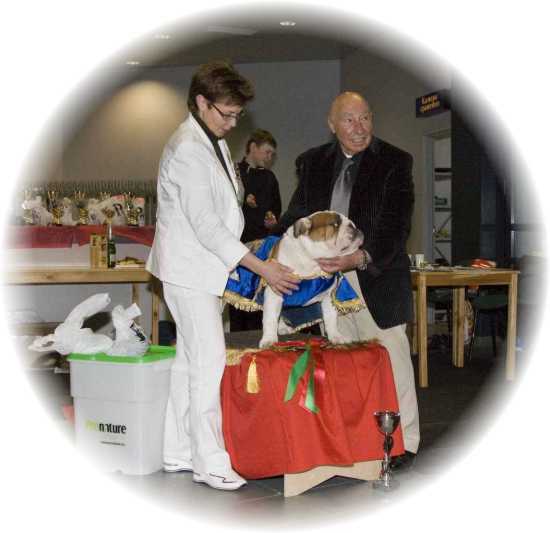 Thank you judges for this great honour! 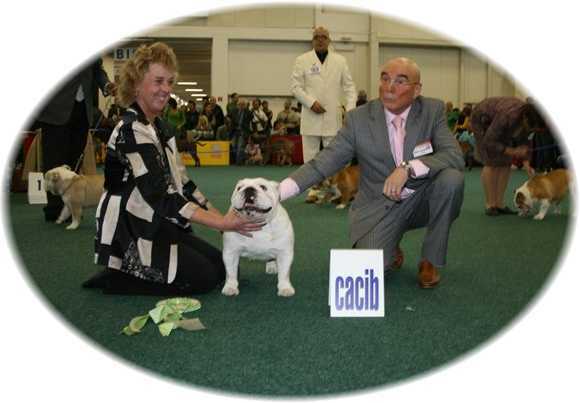 Ginger won CAC and BOB with an entry of 107 Bulldogs! 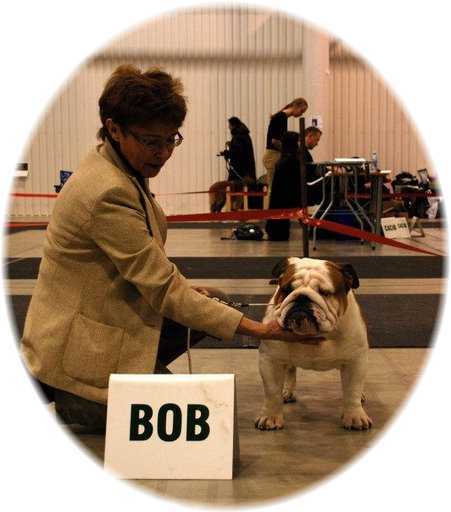 here pictured gaining BOB under judges Mrs. Pat. 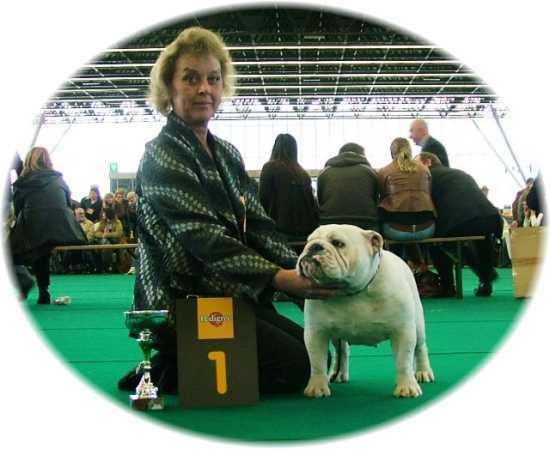 Perkins (Quintic, UK), who judged the females, and Mrs. Petra Grell-Hansohmn (Simplissimus, D) who judged the males. 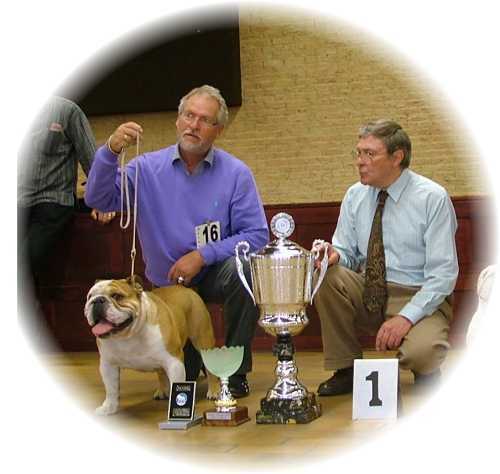 A big thank you to the judges! 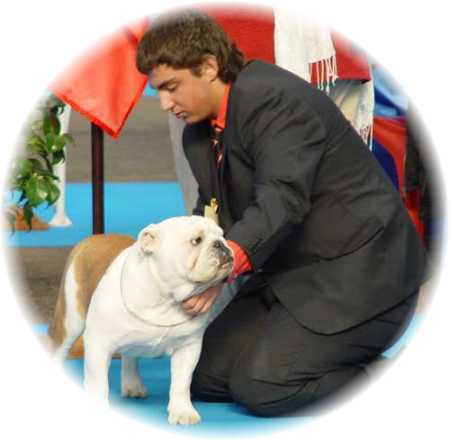 Just one more to go for his South African Champion Title!! 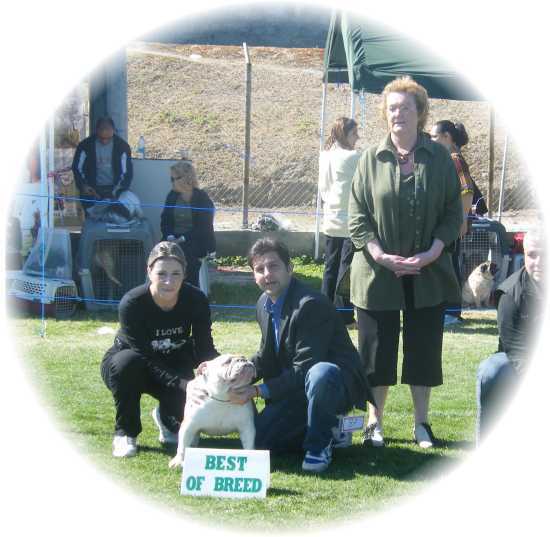 A big thank you to Longinos & Elena and the judges! 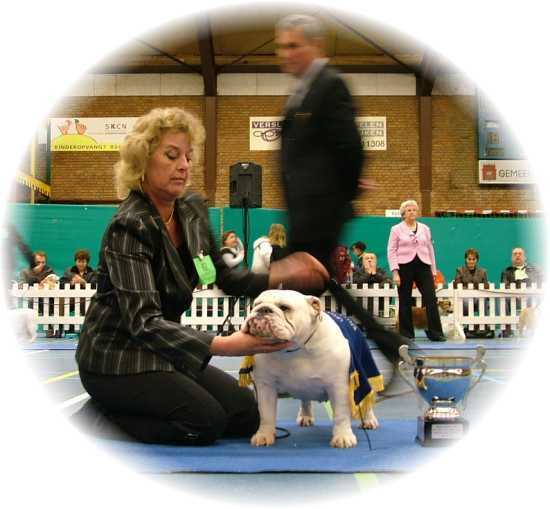 again BOB with Reserve Best in Show at the Cape Utility Dog Club under Mr. H. Kuilman . 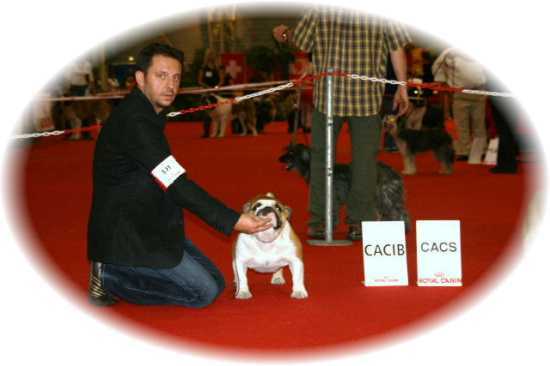 another son of Calibra Calvin Klein "Mike"
Dam: Tequila Sunrise van 't Weerpad "Lana"
judge Mr. Sonia Falleti (Italy) Picture will follow. 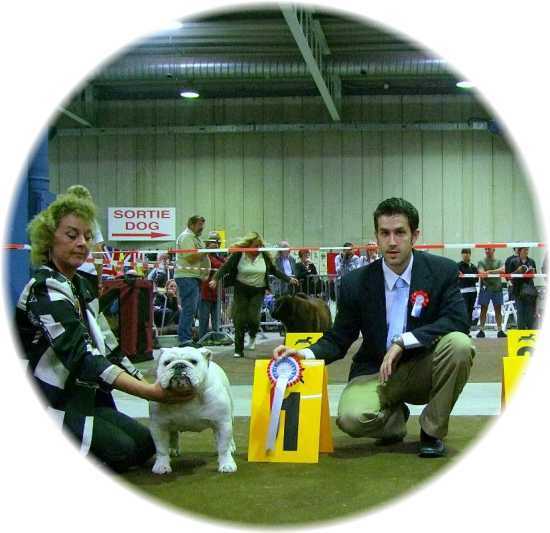 Faith of the Tivoli Bulls enters the Belgium show-scene with a big bang! 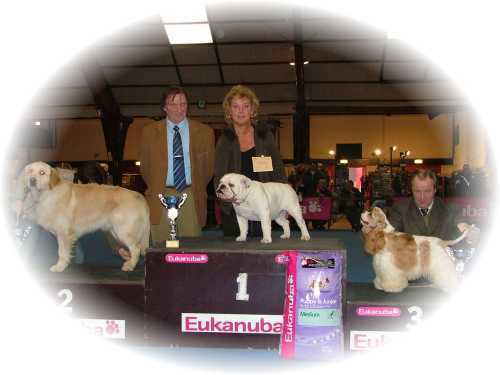 Best junior Female, Best Junior in Breed, Best of Breed, Best Junior in Show on the Sunday show! 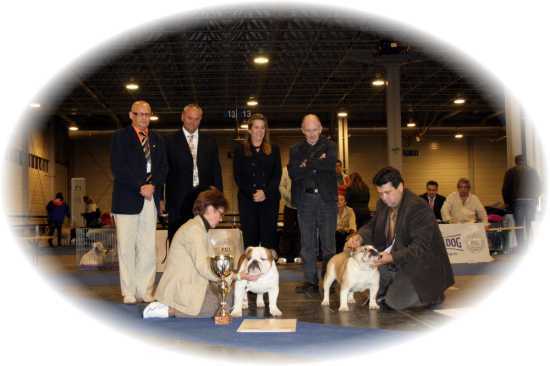 Sparkling Pride Crystal Clear "Crystal" for the 2nd year on a row! 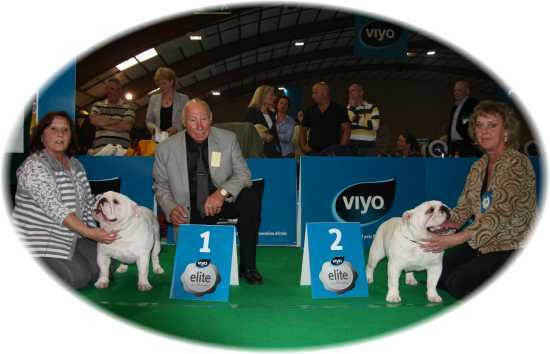 Evander of the Tivoli Bulls enters the showring with a big bang! 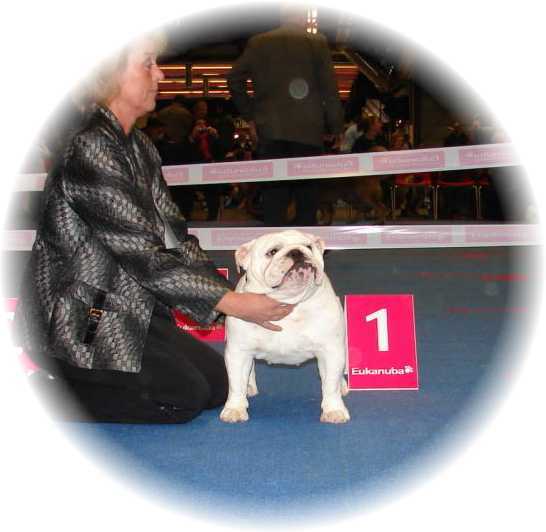 Best In Show for Everglade of the Tivoli Bulls! 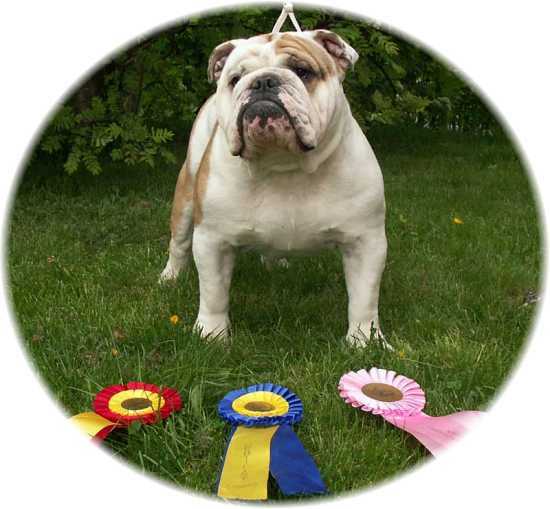 Best Junior in Show, Best Male and Best in Show. 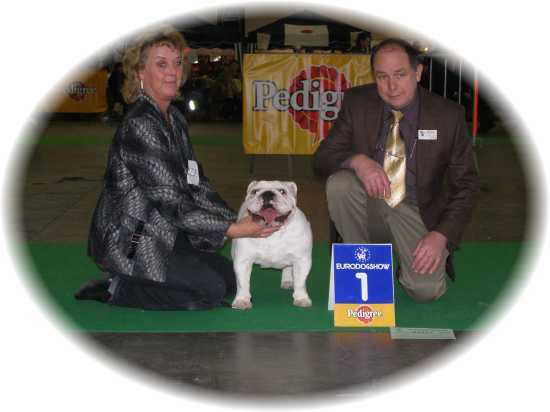 Elliot of the Tivoli Bulls makes his entry in the showring in Sweden! 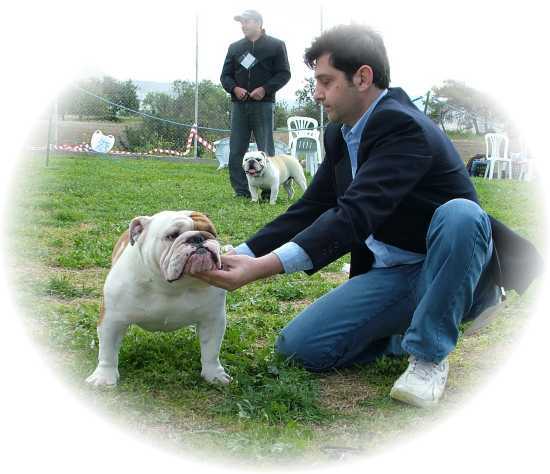 at 19 March 2006, under judge Mr. D. José Vidal.